The Awards Game sounds like one of the play options within The Metagame (aka the non-offensive version of Cards Against Humanity), except with a finite number of categories and nominees rather than free-forming it. I was tempted to say ‘better for less creative types’ but actually you just have to be creative in a different way. Crabs Adjust Humidity is a game that I spotted at the expo. The title made me laugh but gave me no desire to play it. 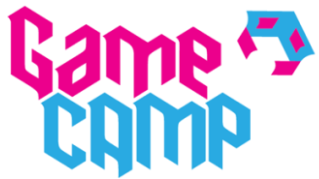 Many thanks for the extremely kind words about almost all of GameCamp. On the point of lunch, I’ll only say that providing it for free costs us two-thirds of our entire income from ticket sales. At previous events we could use our own caterers, but due to changes in policy we are now tied to the university’s contracted catering service. They don’t do desserts, but then we never did either. Your comment about the cost of the catered lunch sounds entirely believable (an odd thing to say, as it would be impolite to suggest that I don’t believe you). I sympathise with your comment at the debrief about the location being the toughest part of the event to lock down, from experience with much smaller unconferences and Puzzled Pint. I’m not suggesting there are any better deals to be had than the one you struck (though if any ever come to my attention, I’ll let you know, and other aspects of the venue set the bar extremely high…) but the LSBU contracted catering service clearly did pretty well out of GameCamp. Yes, it was a well-organised event and most enjoyable. On the downside, I only got to one session all day (frustratingly, not the Escape Room one) which was definitely a mistake on my part.